Dry skin can be much more than just unappealing to look at – it is also uncomfortable, itchy and shows up as red and patchy. We may instinctively think of the skin on our faces when we think of dry skin, but it can occur anywhere, from the arms and legs to the back, ankles and abdomen. Leaving dry skin, particularly during the winter months, can lead to it becoming cracked and hardened on certain parts of the body like hands and feet, which makes it harder to treat. 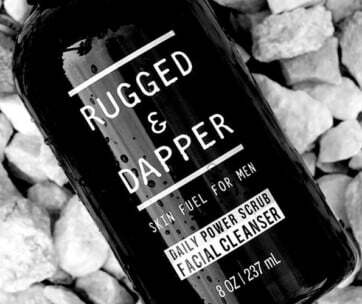 For guys, a skincare regime often looks like a splash of water and aftershave and little more. With a bit of added effort though, your skin could be looking its best in next to no time. It’s worth finding out the right products for your skin type too, such as whether it’s oily, dry or a combination of the two, as using whatever is in the bathroom cabinet could be making your dry skin worse if it’s not well-suited to your skin. Because dry skin is often caused by external factors, it can be treated just as easily with external treatments a lot of the time. These small but easy adjustments to your skin care routine will have it looking soft and supple, with no dry patches in sight. A long hot shower at the end of the day might sounds great but hot water dries your skin out faster as it strips the natural oils from the body, resulting in drier and itchier skin. Instead, limit yourself to one warm shower or bath a day and try not to spend too long in there to avoid upsetting the natural balance of oils. Use a moisturizing body wash for men that’s gentler on the skin and is free from scents and harsh cleansers too. The same can be said when you’re choosing a facial cleanser too. Soap has a high pH balance and can quickly strip the oils from the body, skip the soap and choose something softening and soothing. Exfoliators are fantastic for keeping the skin smooth, wrinkle-free and removing the build-up of dead skin cells. But if you overdo it, you’ll be making it drier, redder and more irritated. Try to limit exfoliating sessions to two or three times a week and don’t forget to moisturize afterwards to keep the skin supple and hydrated. Trying to minimize your routine? 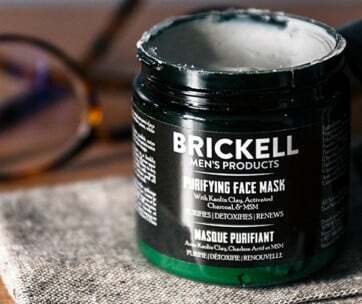 A glycolic face wash exfoliates as it cleanses for a two-in-one job that will have the same effect. As soon as you get out of the shower, pat your skin dry with a towel but leave it a little damp. You want to retain as much moisture as you can and scrubbing your skin dry will have an adverse effect. 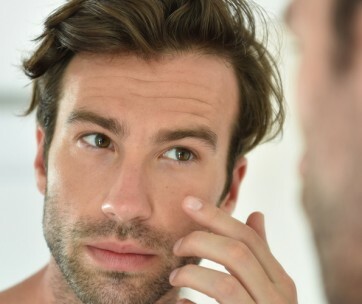 Aim to apply an anti-aging product like face moisturizer within five minutes so that your skin doesn’t dry too much to help lock in as much moisture as possible. 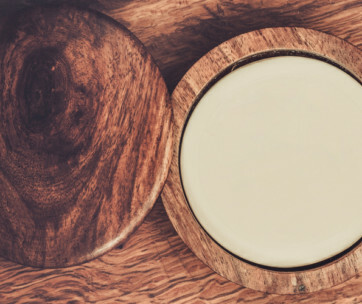 You don’t need to pay a fortune for a good moisturizer though – it’s all about the ingredients. Look for ceramides that soothe dry skin and mimic the skin’s ability to hold onto water; glycerine that will draw water into the skin and keep it there; hyaluronic acid that works in a similar way to ceramides, and lanolin which retains water that your body has absorbed while bathing. 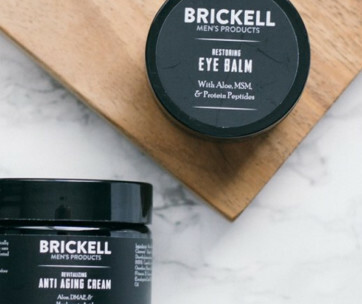 The delicate eye area is one part of the body that often gets forgotten and can really highlight dry, flaky skin, so choose a good quality eye cream for men to target this facial zone and keep it soft and plumped up. If you’re suffering with dry skin on the rest of your body too, the same effect can be achieved by choosing a moisturizing body lotion that will help trap in the moisture left from washing. Don’t overdo it though – just stick to once or twice a day, or your skin will become oily and look greasy. Water plumps things up and your skin is no exception. Dry skin can often be caused by a lack of hydration so you might not be getting enough if you’re struggling to stay supple. This is especially true if you’re an active person, as it’s likely you’re not replacing the water you’re sweating out at the gym or during busy work days, so be sure to keep topping up your glass throughout the day. You can also include hydrating fruits and veggies into your diet for the same effect too, such as cucumbers, watermelon and berries. If your diet is lacking in omega-3 fatty acids, it could be showing up on your skin. Omega-3s have been connected with improved heart health and balanced moods, but they’re also great for improving the look of your skin. If you want to up your intake, foods such as salmon, walnuts and flaxseeds are all great sources, or you can add a high-quality supplement into your daily routine to make sure you’re getting a regular dose of healthy fats. Even on a cloudy day in the middle of winter, UV rays can still penetrate the smog and cause damage to the skin. So, regardless of whether it’s December or the middle of July, we should be wearing SPF to protect our skin from the drying and ageing effects of the sun. Choose an SPF that can be used with your moisturizer or find one that’s integrated to combine the two, and don’t forget about lip balm as your lips can become dry incredibly quickly. There are many different factors that can contribute to dry skin but one area that often gets ignored is the clothes you’re wearing. Certain fabrics can irritate the skin and dry it out, particularly for people who are prone to dry skin, such as wool. Opt for naturally soft fabrics such as cotton which aren’t itchy against your skin.